Based on the documentary of the same name, "Fighting with My Family" tells the stranger-than-fiction true story of professional wrestling's "Knight" family. (Like almost everything else in wrestling, "Knight" isn't their real name – "Bevis" doesn't sound quite as catchy though.) They're a ragtag group of misfits that run a small independent wrestling organization in Norwich, England called World Association of Wrestling (WAW). It is literally a mom-and-pop shop. The parents, Ricky and Julia (Nick Frost and Lena Headey), are the promoters and wrestlers. Their son Zak (Jack Lowden) also wrestles. (Another son, Roy, is a wrestler too – but he's in prison for most of the film.) Saraya (Florence Pugh) joins the family business at the ridiculously young age of 13. She would eventually attain worldwide fame as Paige in WWE, but before that, she wrestled as a child under the name Britani Knight. To show just how deeply passionate – and obsessed – wrestlers can be, Saraya was actually named after her mum's in-ring character, Sweet Saraya. The tryout is coached by a former wrestler named Hutch (Vince Vaughn, playing a slightly gentler version of his drill sergeant character from "Hacksaw Ridge"). Hutch was created for the movie but serves as a stand-in for various real-life coaches and wrestlers. His backstory suspiciously resembles Mick Foley, who famously threw himself off the roof of the "Hell in a Cell" cage. However, unlike Hutch, Foley actually became a star. More likely, the Hutch character is meant to represent journeymen dreamers like Jimmy Jacobs and B.J. Whitmer – who almost killed themselves in an insane cage match at a show called "Supercard of Honor II" in front of a few hundred people (I was there, and it was one of the damnedest things I've ever seen) – and many others like them. As wrestling fans already know, Saraya is chosen and Zak is not. This leads to resentment and a downward spiral for Zak, while Saraya deals with the culture shock of moving from England to America – specifically from drab, grey Norwich to bright, sunny Florida. At the WWE training camp, the newly christened Paige – named after her favorite character from the TV show "Charmed" – feels like a "freak" next to the other female trainees, all of whom are "Barbie doll" models and cheerleaders. While the women in the movie are fictionalized, they accurately represent WWE's hiring practices at the time. Even though some characters and elements are fictionalized, and some aspects of what actually happened are shifted around or combined to tell a cleaner story, "Fighting with My Family" is the rare biopic that is almost entirely factual. Florence Pugh is so good in her role that I often forgot I wasn't watching the real Paige. Jack Lowden excels at the difficult task of conveying Zak's disappointment, bitterness, and broken dreams. He's "the heavy" of the film in the way, and not always likable, but he never loses his humanity. Nick Frost and Lena Headey are precious as their parents, especially Frost, who talks about his character's prison time in such a casual, matter-of-fact way – as if it's no different or less ordinary than toasting bread for breakfast. Also look for writer-director Stephen Merchant in a small but priceless role (Julia Davis, who plays his wife, is also a standout). Thea Trinidad (WWE's Zelina Vega) plays AJ Lee in the film's climactic scene, and eagle-eyed wrestling fans will enjoy spotting other blink-and-you'll-miss-it wrestler cameos. Rest assured that no wrestling knowledge is required to enjoy this film. (After all, did you know anything about Jamaican bobsleds before or after watching "Cool Runnings"?) Silver Screen Sister, who doesn't know Hulk Hogan from the Incredible Hulk, absolutely adored watching this. So did I. Paige's journey is a great underdog story, period. "Fighting with My Family" is funny, quirky, sweet, and heartfelt. It will end up being one of the year's best films. Black, Green, Queen, or Queens? Without a host, will the Academy Awards finally be less than 4+ hours? What Didn't Go Wrong on the Road to the Red Carpet? A pandering Popular Movies category was introduced, only to be scrapped after massive backlash. Four categories – Cinematography, Film Editing, Live Action Short, and Makeup and Hairstyling – were going to be taken off the live show and handed out during commercial breaks. This demeaning development was met with predictable disdain from both inside and outside the film industry. There was a host – until there wasn't. Kevin Hart was set to do the honors before old homophobic comments from a "comedy" routine resurfaced. He stepped down after initial backlash, later tried to resume the mantle again (with the endorsement of LGBTQ+ icon Ellen DeGeneres, no less), and finally bowed out for good after his rambling half-apologies were met with even more criticism. Rumor has it that Whoopi Goldberg will secretly be hosting tonight's ceremony. We'll find out. Many predictions are citing "Roma" as the likeliest candidate for Best Picture. As much as I loved this quietly poignant and beautifully shot film about a year in the life of a maid and the family she works for in early-1970s Mexico, it doesn't feel like a sure thing to me. If it wins, it would the first foreign-language film ever to do so – and a major victory for Netflix and streaming services in general ("Roma's" theatrical distribution was limited – most viewers saw it through Netflix). "Green Book" is also being talked about as a strong voting contender, but there has been backlash from the family of Dr. Don Shirley (played by Mahershala Ali in the film) as well as controversies surrounding director Peter Farrelly and writer Nick Vallelonga (son of Tony "Lip" Vallengona, portrayed by Viggo Mortensen in the movie). Could that then pave the way for "BlacKkKlansman," "Black Panther," or even "The Favourite" pull ahead in the polls and win the big gold? "A Star is Born" – once thought of as a heavy favorite – is now considered a longshot. "Vice" winning seems about as likely as its subject matter ever becoming President. If "Roma" doesn't score the predicted Best Picture victory for whatever reason (voters might deem it too long, too slow, too foreign, too black and white, consider Netflix a threat to movie theaters, etc. ), "BlacKkKlansman" is my outside-the-box guess. It hasn't been attacked from all sides like the divisive "Green Book" and doesn't carry a stigma with the snooty Academy of being a comic book movie like "Black Panther" – all while containing many of the same powerful themes and messages both of those films have been applauded for. This is easily one of the most unpredictable Best Picture races in years. Glenn Close has become the front-runner for "The Wife" in the Best Actress category after a touching speech at the Golden Globes. She has six previous nominations and zero victories. Will this be lucky #7? Academy members may be rooting for her to finally win the big one. But could Olivia Colman emerge instead as the favorite for "The Favourite"? Full results are listed at the end. The Host: The Whoopi rumor wasn't true after all. There really isn't a host. Best Oscar Speeches: Regina King's speech after winning Best Supporting Actress for "If Beale Street Could Talk" was tearful and heartfelt. I don't know a single person who wasn't rooting for her. Becky Neiman-Cobb of the animated short film "Bao" delivered a touching speech on making a movie about motherhood just as she was becoming a mother herself. Rami Malek's speech was pure class. As someone who enjoyed his work and recognized his talent on the TV show "The War at Home" a decade before it seemed like anyone else knew who he was, I'm happy to see him go as far as he has. "The Favourite" Best Actress winner Olivia Colman was precious, blowing kisses at fellow nominee Lady Gaga. Best Presenters: Tina Fey, Amy Poehler, and Maya Rudolph kicked off the ceremony by skewering the lack of a host and other Oscar mishaps (see above) before presenting the award for Best Supporting Actress. Helen Mirren and Jason Momoa were funny talking about their "matching" pink outfits, which they swear they didn't discuss with each other beforehand. Melissa McCarthy and Brian Tyree Henry coming out in outrageous outfits while cracking about the subtlety of a good costume design was an amusing visual gag. I liked what Michelle Yeoh and Pharrell Williams said about "putting away childish things" before pointing out that we don't have to thanks to these nominees for Best Animated Feature. I love Awkwafina and John Mulaney. Best Moments: The "Wayne's World" reunion with Dana Carvey and Mike Myers was nice. The sheer adoration "A Star is Born" actors Bradley Cooper and Lady Gaga showed for each other during their musical performance was infectious. Biggest Surprise: Olivia Colman winning Best Actress instead of Glenn Close wasn't entirely unexpected – I did suggest the possibility above – but it still qualifies as a major surprise and massive upset. "Green Book" was at least somewhat of a surprise for "Best Picture." It's a very nice movie. I liked it and I can understand why it would be a sentimental favorite, but I personally would've voted for "Roma" or "BlacKkKlansman" instead. Overall: While this wasn't the most dynamic ceremony over, I can forgive that because it moved along at a (relatively) speedy pace. If losing the host means shortening the length of the Oscars, I hope the show never has a host again. In future years, the Academy can focus on making the ceremony less dry. For now, I consider this a success. Best Actor in a Leading Role: Rami Malek, "Bohemian Rhapsody"
Best Actress in a Leading Role: Olivia Colman, "The Favourite"
Best Actor in a Supporting Role: Mahershala Ali, "Green Book"
Best Actress in a Supporting Role: Regina King, "If Beale Street Could Talk"
Best Director: Alfonso Cuarón, "Roma"
Best Animated Feature: "Spider-Man: Into the Spider-Verse"
Best Original Screenplay: "Green Book"
Best Documentary Feature: "Free Solo"
Best Original Song: "A Star is Born"
Best Original Score: "Black Panther"
Best Cinematography: Alfonso Cuarón, "Roma"
Best Documentary Short: "Period. End of Sentence." 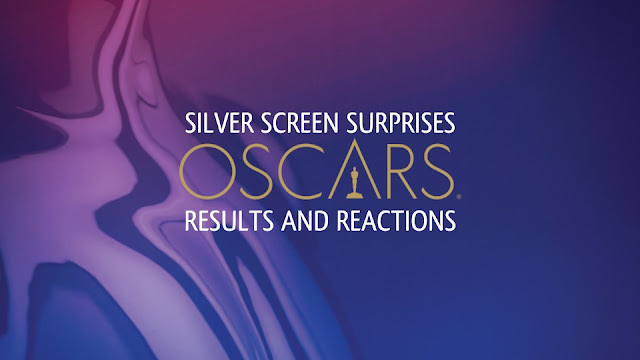 Best Live Action Short: "Skin"
As I've done for the past several years, I will go through the nominees and then analyze what I feel are the "Silver Screen Surprises" for each of the main categories. Which nominations – and snubs – surprised me? Surprises: I expected "Crazy Rich Asians" to be nominated for Best Picture, but not only did it fail to make an appearance in this category, it was completely shut out of the Oscars in general. What happened? There was minor intrigue about whether "Black Panther" would actually get a Best Picture nomination after a "Most Popular Movie" Oscar was briefly considered – seemingly for this movie – only to be scrapped after massive backlash. Will this be a three-way contest between "Black Panther," "BlacKkKlansman," and "Green Book" – or will "Roma" sweep in and spoil their chances? "Roma's" inclusion is a huge victory for Netflix – and streaming in general – as the film received only a tiny theatrical release and was seen by most viewers at home. Theater owners have reason to be worried. Bradley Cooper, "A Star Is Born"
Willem Dafoe, "At Eternity's Gate"
Surprises: This is possibly the least surprising of all the categories, but the actual winner might be a surprise in what is sure to be a tightly-contested race. There was no chance in hell of Steve Carell scoring a nomination for "Welcome to Marwen" – a movie disliked by both viewers and critics (except me) – but he did the impossible and turned a very strange character into a sympathetic one. I think history will judge his performance kindly. Lady Gaga, "A Star Is Born"
Melissa McCarthy, "Can You Ever Forgive Me?" Surprises: Not that I expected it, but Elsie Fisher was superb in "Eighth Grade" and more than deserved a nomination. Then again, I can understand the hang-up about not wanting to ruin a child actor's life by giving her too much too soon. That would be even worse than middle school. Sam Elliott, "A Star Is Born"
Richard E. Grant, "Can You Ever Forgive Me"
Surprises: Sam Elliott wasn't expecting to be nominated, so I wasn't expecting it either. Regina King, "If Beale Street Could Talk"
Surprises: Meryl Streep wasn't nominated for "Mary Poppins Returns." She's always nominated. Okay, I'm only kidding – somewhat! As I mentioned above, "Crazy Rich Asians" is nowhere to be found this year. At the very least, Michelle Yeoh should have had this category sewn up. 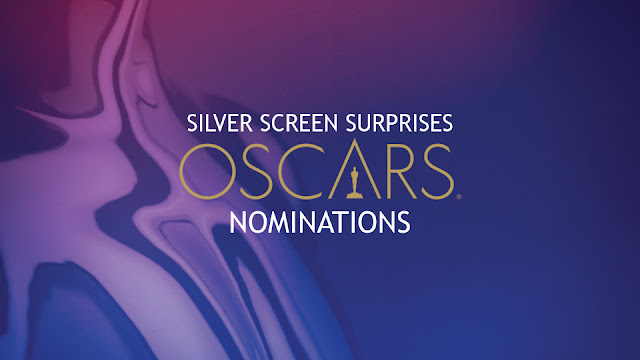 Surprises: Bradley Cooper was widely expected to be among the nominees in this category for "A Star is Born," but I guess a star wasn't born in this case. Surprises: Don't be surprised when "Spider-Man" wins. I'm not sure "Welcome to Marwen" would even be eligible for this category considering that it has live action sequences too, but I personally found the animation impressive. Surprises: Bo Burnham was robbed – I guess the writing in "Eighth Grade" wasn't "flashy" enough for the Academy? Surprises: It's not a good day in the neighborhood, as the Mr. Rogers documentary "Won't You Be My Neighbor?" was surprisingly snubbed. Other thoughts: Kevin Hart was originally scheduled to host the ceremony, until he stepped down after old homophobic jokes of his surfaced. No one replaced him. Why? Probably because it's a thankless job with very little upside, especially with the way ratings have steadily declined over the years. The show is a slog to watch at the best of times, so how will it work without a host to break up the monotony? Kevin Hart would have done a good job, but he botched his "apology" tour with a series of clumsy foot-in-mouth non-apologies and justifications. Not even Ellen's endorsement could save him. The question now becomes, who will save us from four-and-a-half hours of self-congratulatory mind-numbing boredom. "All The Stars" from "Black Panther"
"The Place Where Lost Things Go" from "Mary Poppins Returns"
"When A Cowboy Trades His Spurs For Wings" from "The Ballad of Buster Scruggs"
"Solo: A Star Wars Story"
"I decided I'm not going to lie in my second life. I always tell the truth and tell people who I am, because why should I be afraid to tell you who I am?" "Welcome to Marwen" is a weird movie. Not just original (which it certainly is) and not just unique (although it also is), but weird. But then, art is often weird, and so too are artists. Mark Hogencamp was a cross-dressing alcoholic nearly killed outside a bar for talking about wearing women's shoes and left brain-damaged and amnesiac after the attack. It's a role that could possibly have only been played by Steve Carell. In almost any other actor's hands, Hogencamp's odd/unique/weird/fill-in-the-blank personality traits would have dominated the performance – but Carell focuses on the humanity and sweetness inherent in the real-life Hogencamp. As the movie begins, the viewer is thrust into the middle of a World War II dogfight. However, it quickly becomes apparent that something is amiss. It's clearly Carell flying the plane, but he looks like a doll! And the aircraft looks like something from a model kit. The background seems kind of artificial as well. Marwen is a fictional WWII-era town in Belgium comprised solely of dolls and the miniature locations built to host them. It's the brainchild of artist and photographer Mark Hogencamp and the home of the heroic Hogie – the doll that serves as his alter-ego. Also residing there are several Nazi soldiers who are repeatedly killed and come back to life like characters respawning in a video game, the Women of Marwen who oppose them every step of the way, and the enigmatic Deja Thoris – the Belgian Witch of Marwen. Are you still reading this? Yeah, it's easy to see why "Welcome to Marwen" sharply divided critics and didn't light up the box office, but certain viewers will certainly find a lot to like here. I was one of them, for reasons I'll get into later in this review. In actuality, Hogencamp's visual art and storytelling are conveyed through stunning still photographs of the dolls he customizes and the models and sets he painstakingly builds. In the film, they're brought to life through a series of ambitious animated sequences. Interspersed throughout are scenes of Hogencamp's bleaker reality, where it becomes clear that every character in Marwen is based on someone he knows (Janelle Monáe of "Hidden Figures" appears in one such dual role, and his real-life attackers take the form of Nazi officers in Marwen). Roberta (Merritt Wever) is the owner of the hobby shop in town Mark uses to build Marwen. She has clearly taken an interest in him, but the feeling is either not noticed or mutual. Then a new neighbor moves across the street – Nicol "without the e" (Leslie Mann) – who Hogencamp is instantly smitten with. It isn't long before she becomes Marwen's newest resident. Readers of the book Welcome to Marwencol and viewers of the documentary "Marwencol" will notice several major changes typical of a "based on a true story" Hollywood production, but I was able experience "Welcome to Marwen" on its own terms because I saw the first film and read the book after. Director Robert Zemeckis (probably best known for "Back to the Future" and "Forrest Gump") does an outstanding job of portraying Mark Hogencamp's fictional world through animation, just as Hogencamp himself does through his artistic photography. Creative types will tell you that there's a whole world living inside their heads – which only comes out through their writing, drawing, painting, photography, or whatever their preferred art form happens to be. "Welcome to Marwen" brings that process to life. It's not a perfect movie or one I could ever blindly recommend, but if you consider yourself a creative person, "Marwen" will probably speak to you. 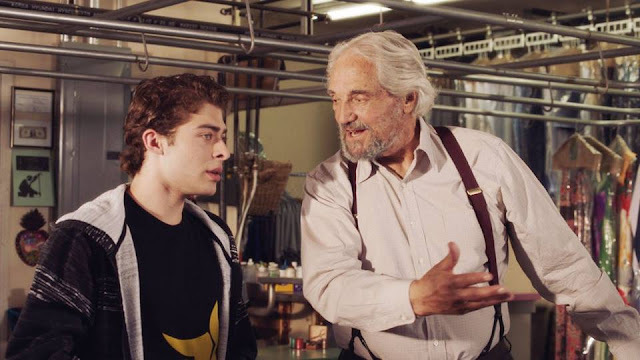 That's what Samuel Bergman (the great Hal Linden of "Barney Miller" fame) tells his 17-year-old grandson, Eli (Ryan Ochoa). The teenager retorts that "old people" – "adults," he quickly corrects himself – always say that. In this case, it's true. But Grandpa isn't talking. A surprise letter leads to an unexpected meeting between Samuel and a dear old friend of his named Uma (Trina Kaplan). – Who is this woman? – How does Samuel know German? – What is the story behind the teenage girl and the bandaged boy in the photograph Eli saw? Questions without answers, because Grandpa still isn't talking. It would end up being Samuel's last meeting with Uma. Not even Matzo Ball Soup – courtesy of a surprise nighttime visit from Eli – is enough to get the old man to open up. Some things are too tough to talk about. The reason for the soup and the visit: Samuel doesn't show up for work that morning. He runs a successful dry-cleaning business in San Diego. One of Samuel's employees has been there eight years and says his boss has never missed a day of work in all that time. Samuel is the best in town, according to his customers – even if he can't ever seem to remove a stain from the butcher's apron. The butcher's name is Vartan (Ken Davitian), and he comes around to the store not only to have his clothes cleaned, but also to exchange constant verbal jabs with Samuel and continue their seemingly never-ending chess game on a board set up behind the counter. Meanwhile, Eli wants to be an artist – much to the chagrin of his father, Robert (Michael B. Silver), who is still struggling to pay the bills even with a "real job." Robert's advice: go to community college, get a degree in a stable profession, and be an artist on the weekend. But Eli has to be an artist now because he has been assigned a "historia" project in Mr. Turner's (Philippe Bowgen) media class. The winning entry gets a scholarship to art school, which Eli desperately needs because he doesn't have his father's support – financial or otherwise. Samuel doesn't quite understand his grandson's "doodles" either, but he's fascinated that people can actually make a living doing that. The way to a man's heart is usually through his stomach, but as we saw with Eli's offer of Matzo Ball Soup, that doesn't work with Samuel. In this case, the way to a man's heart is through is through free employment. Eli offers to work at the dry-cleaning store before and after school without pay if Samuel will open up to him. That story – about a young boy whose entire family was torn away from him in the blink of an eye by the Nazis, the teenage girl who rescued him from a gunshot wound inflicted by her own father, and his eventual journey to America all alone – becomes the basis for both Eli's project and the movie itself. "The Samuel Project" works because all of the characters come across as real people. Their interactions feel natural. There's a certain "lived-in" quality to everything we see in the movie. Much of that has to be credited to masterful veteran actor Hal Linden, whose "Barney Miller" is still considered one of the most realistic cop characters and shows ever put to film – but his Samuel Bergman is a worthy successor several decades later. Young Ryan Ochoa is every bit as good as his experienced co-star and has a bright future ahead of him if this movie is any indication. The teacher, Mr. Turner, is played nicely by Philippe Bowgen – with the sharp, sarcastic edge of a jaded instructor who still cares about and encourages the students willing to put in the time and effort. Ken Davitian, as the butcher, is an entertaining presence who adds just the right touch of lightness to his scenes. Mateo Arias does the same as Eli's project partner, Kasim. There are no major surprises in "The Samuel Project," but there don't need to be. It shines because it shows all of those little moments that come with living a life. That's the tantalizing premise behind "Crazy Rich Asians." Much has been made of the fact that this is the first American film since "The Joy Luck Club" in 1993 to feature an all-Asian cast. It's a historic and long overdue development. But let's face it: anything historic doesn't always sound like very much fun. Rest assured, that isn't a problem here. This movie is a pure joy to watch from beginning to end. Rachel Chu (Constance Wu, "Fresh Off the Boat") has no idea what she's in for when her boyfriend, Nick Young (newcomer Henry Golding in his first film role), invites her to Singapore. Nick Young is a household name in Singapore. Before he even finishes telling his mother he's bringing Rachel with him, everyone in the family – and everyone in Singapore – knows her name too. That's how much status the Young family has. As Rachel experiences for the first time the overwhelming opulence and extreme extravagance the Youngs are accustomed to, so too does the audience. Watching "Crazy Rich Asians" is like going on an all-expenses-paid vacation to Singapore that you could otherwise never afford. You'll meet memorable characters, in breathtaking locales, wearing gorgeous outfits, eating mouth-watering food – be sure to grab a bite before the film, or you'll be ravenously hungry long before the credits roll! The Royal Wedding seems humble compared to the Young Wedding. But if I'm making "Crazy Rich Asians" sound like a glorified travel program or reality show, nothing could be further from the truth. The movie wouldn't work if it was only a surface-level look at the glitz, glamour, and excesses of a wealthy and well-known family. One of the main themes in the film is the perceived differences between people who are Chinese from those who are Chinese-American. Children of immigrants from any country or culture can relate. Meanwhile, the matriarch of the Young family, Eleanor (Michelle Yeoh, in an Oscar-worthy performance), is cold, distant, and critical of her "chosen one" son's American girlfriend. And she is far from the only one at the wedding who is unhappy about Rachel's presence. However, not everyone shares those views. Astrid (Gemma Chan) and Oliver ("Superstore's" Nico Santos) are happy for Nick and Rachel. Astrid is a particularly fascinating character, as she'll think nothing of dropping over a million dollars on ridiculous pearl earrings, yet isn't presented as a spoiled snob. But none of that would matter if we didn't care about these people – and we do, thanks to stellar performances by all involved. Constance Wu admirably anchors the movie, serving as the audience's proxy into this unimaginable other world of loud luxury. Henry Golding is incredibly impressive in his first film role – no doubt an instant star-making performance. And if there's any justice in the world, Michelle Yeoh's name will be on the Oscar ballot. Beneath a flashy veneer, "Crazy Rich Asians" expertly explores issues of family, culture, finance, and happiness. But it's still a whole lotta fun! This is one of the most thoroughly enjoyable films of the year. "350 Days" refers to the amount of time the average professional wrestler spent on the road and away from his family. Driving many miles, working through multiple injuries, and combating loneliness, fatigue, and problems at home, they wrestled every night of the week and "twice on Sundays." The highlight of their day was often those few minutes inside the ring. But that wasn't the only thing they had to look forward to! After the matches, they had instant access to drugs, alcohol, and willing women known as "ring rats." 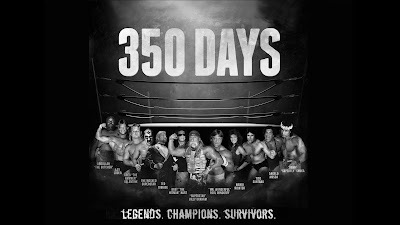 Filmed over five years, a staggering number of wrestlers were interviewed for "350 Days." Several of them are no longer with us. The movie often switches from the silly to the surreal to the sublime, sometimes in the same scene. One of the highlights: footage featuring the "crazed" Ox Baker preparing a meal in his own kitchen. Was it entirely necessary to include five full minutes of this? Possibly not. But I can't lie: I wouldn't have been in the least bit disappointed if the rest of the film consisted of cooking lessons from Ox Baker. 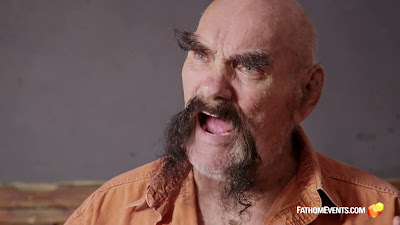 This alone would have make Ox Baker a star again – it's a shame he didn't live to see it. On the other end of the emotional spectrum, there's a touching segment with "Superstar" Billy Graham (not the preacher) discussing his health issues. Known for his outrageous catchphrases, such as "the man of the hour, the man with the power, too sweet to be sour," Graham puts aside the bluster of his bombastic character to discuss his battles with Hepatitis C and the young lady who died, which allowed him to live by receiving her liver. At first, I was distracted by these omissions. The endearing scene of a loving, nurturing "Superfly" feeding and petting adorable farm animals takes on an almost dreamlike quality. People are complicated! But I can also partly understand why the filmmakers decided to shy away from spotlighting such shocking stories. The darker side of these wrestlers' personal live might have overshadowed the rest of the film and obscured the overall purpose of the documentary. Despite that, there is still plenty of bad behavior to go around. Bret "The Hitman" Hart spent his entire career portraying a virtuous "Canadian hero." The revelations in "350 Days" won't be surprising to anyone who read his voluminous almost-600-page tome, Hitman: My Real Life in the Cartoon World of Wrestling. But for the average fan, this film will definitely expose a different side of "The Hitman." Anyone who has listened to any recent Bret Hart interviews will already know that he's honest to a fault (potentially the result of a stroke he suffered in 2002). Here, his "Canadian hero" persona is laid bare. In one startling speech, he practically endorses cocaine by fondly reminiscing about the drug while going out of his way to point out that it did not impair him. He claimed to retain everything he ever learned from veteran wrestlers during those powdery bonding sessions. Later, he concedes that drug testing has been good for the industry. "The Hitman" also makes no apologies – and has no regrets – for indulging in extramarital affairs during his career. He said he made many friendships that way. Wrestling is indeed a hard life – as this documentary points out – but coming from the mouth of Bret Hart, you would think he was a combat veteran who served in two World Wars. Then again, "The Hitman" has always taken himself very seriously – as demonstrated in another excellent wrestling documentary, 1998's "Hitman Hart: Wrestling with Shadows." What makes the movie so fascinating is the often contradictory opinions expressed by different wrestlers on a wide variety of topics. For example, one common belief expressed in the film is that the wrestling business ruins marriages. Lanny Poffo, however, is quick to dispel that notion. "350 Days" is a revealing look at the human beings behind the wrestling personas. "Mr. Wonderful" Paul Orndorff expresses regrets about placing wrestling and money ahead of his family and laments that he can barely move his arm after years of abusing his body in the wrestling ring. "Superfly" Jimmy Snuka somehow come across as calm, clear, and coherent – a far cry from one of his wild "Superfly" wrestling promos that were nearly impossible to decipher – while "Rocker" Marty Jannetty is sadly almost unintelligible. The sheer breadth of wrestlers interviewed in "350 Days" is ultimately what gives this documentary its considerable depth. 2013-2018 Silver Screen Surprises. Ethereal theme. Powered by Blogger.